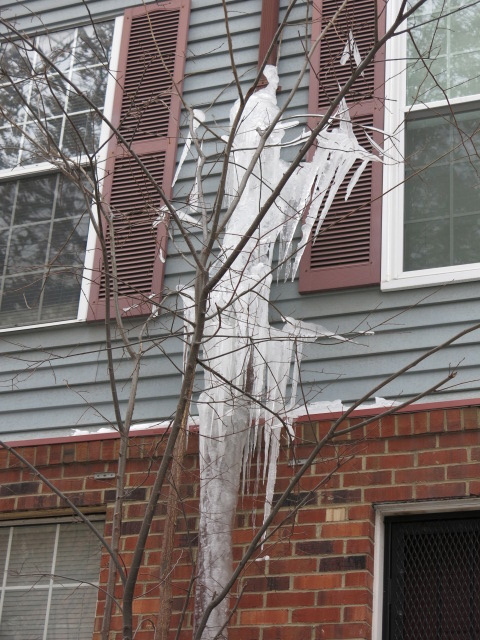 There are steps you can take to help prevent the pipes in your home from freezing or breaking. Pipes that freeze most frequently are those that are exposed to the outside, such as outdoor hose outlets, water sprinkler lines and water pipes in unheated interior areas such as kitchen cabinets, attics, garages, basements and crawl spaces. • Remove, drain, and store garden hoses. • Close the inside valves that control the water supply to outside hose attachments (hose bibs). • Open the outside hose bibs to allow any water in the line to drain out. Keep this valve open so that any water remaining in the pipe can expand without causing the pipe to break. • You may want to install a pipe sleeve for water pipes that are not insulated. Building supply stores carry these and other supplies for insulating pipes. • If you go away for an extended time during cold weather, leave the thermostat set above 55 degrees before you leave. • In severely cold weather, allow cold water to drip from faucets served by exposed pipes. The cold water is still above freezing and will help prevent the pipe from freezing. • First, locate and shut off the main water supply valve in case a pipe has broken. • Next, open the faucet so that water will flow through the pipe once the area is melted. This will help melt more ice. • Then, gently apply heat with a hairdryer around the pipe. Keep all sources of heat away from flammable materials and do not use any open flame devices. Also, do not use devices that will cause the melted ice to boil, as that can also cause pipes to break. • Call a licensed plumber if you cannot locate the frozen section, if ou are unable to reach it, or if you are unable to thaw it. • Check for other frozen pipes in your home or business, especially those pipes that are located along an exterior wall or bring the water into the building at the foundation.